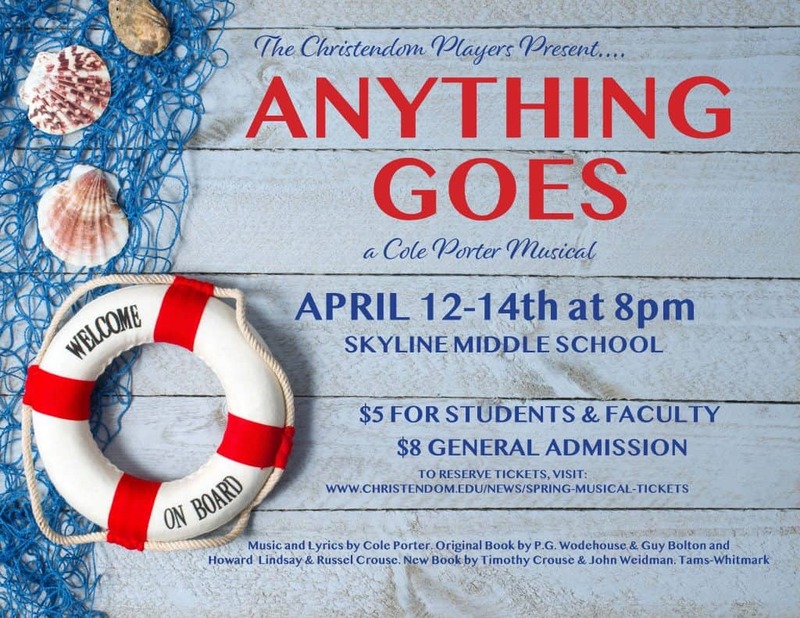 Directed by alumna Elizabeth Foeckler and produced by senior Nicole Feldman, Christendom’s latest Spring Musical promises to be its most entertaining yet. Performances will be held Friday-Sunday, April 12-14, with each performance beginning at 8:00 p.m. Doors open at 7:30 p.m. before each showing. The show will be performed at Skyline Middle School, 240 Luray Ave., Front Royal, Virginia 22630. If you have any questions, please contact producer Nicole Feldman at nicole.feldman@christendom.edu or at 301-655-6175.